Participants from a variety of backgrounds, including industry professionals and students from more than ten colleges, were given large-scale, publicly available datasets related to each of the goals. They were encouraged to use the data to build and implement a technical solution that could help achieve the goals. The team that took home the “Best in Show” award built an SMS-based learning and tutoring system to help achieve quality education for all. This system leveraged a variety of technologies, including AirTable, Twilio and Dialog Flow, to connect students anonymously in countries with less-than-optimal internet/cellular infrastructure to tutors to help educate them on a variety of subjects. The runner-up project was Recycle.ly, a mobile app that would allow companies and organizations to incentivize office recycling. Employees could use their cell phones to scan any recyclable object and receive Recycle.ly points, which could be spent in a company store for rewards, such as an extra day of PTO, an extra lunch hour or a cash bonus. Booz Allen’s Kirk Borne, one of the world’s top data science influencers, also attended and gave an inspiring presentation around “Data Science for Good,” capping off the success of the event and encouraging participants to continue the mission. “This Hackathon was a huge success and we cannot wait to continue the tradition moving forward,” said Smith. 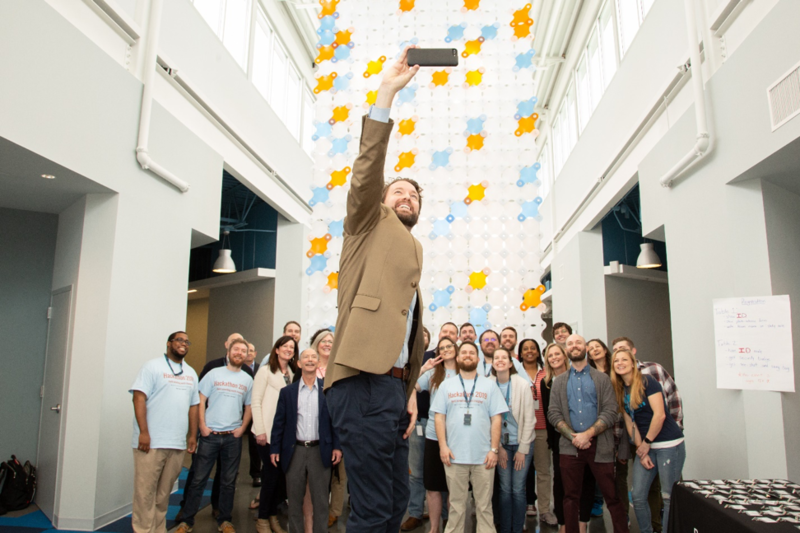 Read about Booz Allen’s Charleston Digital Hub here.